This sporty two-piece designer set is perfect for going out or just lounging around. 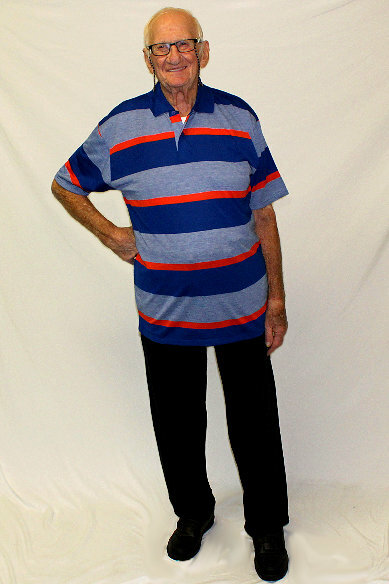 Features include a short sleeve pullover top with a flat knit collar, and coordinating solid pants with comfortable elastic at the waist and ankles. Cotton/polyester blend.